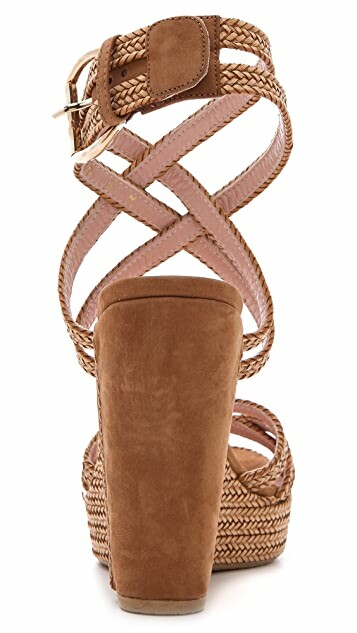 Suede panels add smooth contrast to the braided faux-leather detailing on these textured sandals. 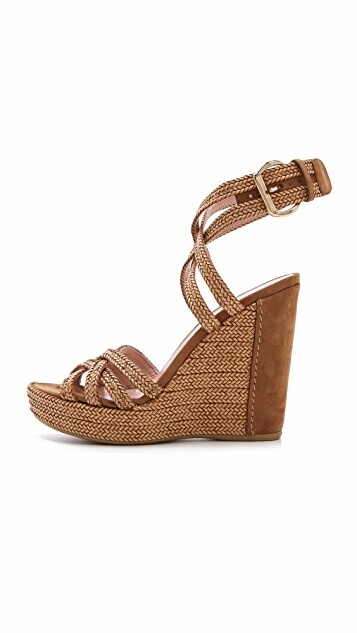 A buckled strap wraps the ankle. Rubber sole.